Microsoft has announced that Office 2013, the most popular office productivity suite, has been released to manufacturing (RTM). It means that the development on Office 2013 has generally completed. Windows RT users will probably get to use Office 2013 earlier than anyone else (unless of course you’re Microsoft insiders or there is a leak), as Windows RT devices will ship with the preview version of Office Home & Student 2013 RT from Windows 8 launch date, October 26th, 2012, but will be upgraded to full RTM version in early November. Office Home & Student 2013 RT includes the new Word, Excel, PowerPoint and OneNote applications for Windows RT devices. Some business customers will get their hand on final build of Office 2013 earlier than others, as early as November 2012. According to Office News, Office 365 Enterprise customers will be using Office 2013 from the next service update starting in November through general availability. Volume Licensing customers with Software Assurance will be able to download the Office 2013 applications as well as other Office products including SharePoint 2013, Lync 2013 and Exchange 2013 through the Volume Licensing Service Center by mid-November, while IT professionals and developers will be able to download the final version via their TechNet or MSDN subscriptions by mid-November. The general availability of Office 2013 is planned for the first quarter of 2013. While Microsoft does not announce what’s the final build version for the Office 2013 RTM, some lucky folks have managed to download and install Office 2013 RTM. 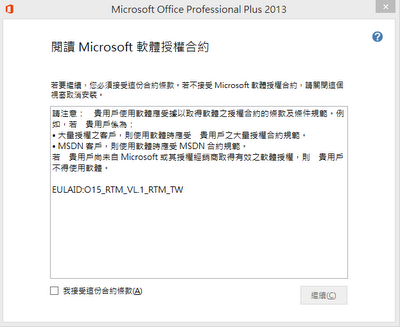 According to a Chinese blog, the build version for Office 2013 RTM is 15.0.4420.1017. The preview version of Office 2013 released by Microsoft has the build number of 15.0.4128.1014. 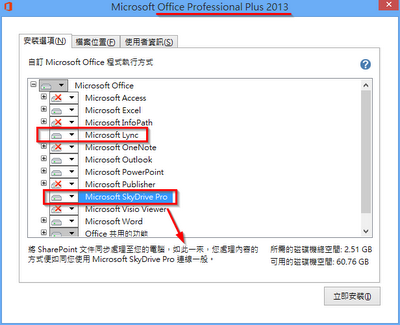 Comparing with Office 2010, Office 2013 has integrated Microsoft Lync 2013, which was previously a separate download, and Microsoft SkyDrive Pro, which allows business users to access, save and share files and documents through SharePoint. Essentially SkyDrive Pro is doing what SkyDrive does for home users, may be replacing SharePoint Workspace.